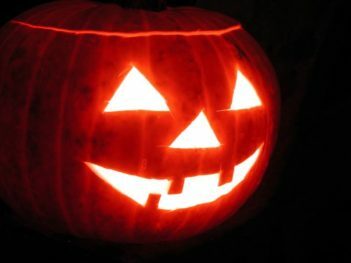 Halloween is the sweetest time of the year for many small businesses. Hoping to avoid any tricks, of course, treats of assorted varieties will be handed out. ● Among chocolate and confectionery manufacturing from cacao beans employer firms, 80.3 percent have less than 20 workers, and 91.7 percent fewer than 100 employees. ● Among firms in the confectionery manufacturing from purchased chocolate sector, 76.5 percent have fewer than 20 employees, and 94.0 percent fewer than 100 workers. ● As for employer firms in the nonchocolate confectionery manufacturing business, 75.8 percent have less than 20 workers, and 89.7 percent fewer than 100 employees. ● Among employers in the confectionery merchant wholesalers sector, 88.8 percent have less than 20 workers, and 96.7 fewer than 100 employees. ● As for firms in the confectionery and nut stores sector, 92.1 percent have less than 20 workers, and 97.9 percent fewer than 100 employees. ● And among formal wear and costume rental firms, 90.3 percent have less than 20 workers, and 97.5 percent fewer than 100 employees. According to the National Confectioners Association, 90 percent of Americans say candy makes the holidays much more fun. Well, of course it does. And it should be no surprise that the treats on Halloween are largely supplied by entrepreneurs, small businesses and their employees – there’s nothing scary about that.